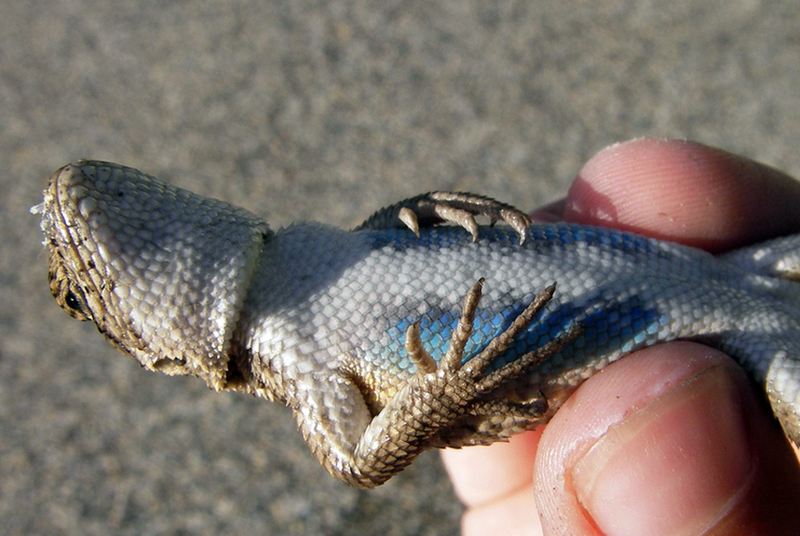 Texas hopes to unveil a new strategy to protect the threatened dunes sagebrush lizard by the end of next month. And the endangered species expert managing the remake for the state says the new approach will not only work but stand the test of time — unlike its predecessor. “It will be a lot better,” said Robert Gulley, the director of economic growth and endangered species management at the state comptroller’s office, which oversees species protection. The news comes about half a year after Gulley’s team opted to scrap the state’s original approach, implemented in 2012, after determining it had failed to protect the threatened West Texas reptile whose habitat spans the oil-rich Permian Basin. The 6-year-old Texas Conservation Plan was plagued by problems almost from the start. Crafted by then-Comptroller Susan Combs to head off an official endangered species listing by the federal government, which the state’s oil and gas industry and Republican establishment said would greatly hinder energy production and impact the state’s economy, the plan depended on voluntary participation by oil and gas companies and other major land users who agreed to limit the impact of their operations on lizard habitat in exchange for regulatory certainty. But — among other problems — fewer companies enrolled in the plan than expected. It also significantly underestimated the size of the lizard’s habitat, which is more than a third larger under the plan Gulley’s team aims to submit to the U.S. Fish and Wildlife Service for consideration by July 31. Environmental groups had always opposed the plan and sued over it in 2013, but they ultimately lost the legal battle. In 2015, the year he took office, Comptroller Glenn Hegar hired Gulley, a renowned expert on environmental law and mediation, to scrutinize the plan. He and his team made some changes to address its flaws over the years, including quietly firing the nonprofit foundation the state had entrusted to oversee the conservation plan whose board consisted of oil and gas lobbyists. But last year, an insurmountable challenge emerged. The conservation plan didn't contemplate the arrival of such an industry, which is almost entirely unregulated by the state. And it would have been impossible to do so, Gulley said in an interview. “It wasn’t that they got it wrong,” he said. Gulley alerted the Fish and Wildlife Service last August that the plan was under significant threat because of all the new mining activity and began working on a rewrite last November. The new plan will still be voluntary but will account for the booming frac sand mining industry, as well as a growing solar and wind industry. Still, only eight of the 17 frac sand mines will be able to participate (they have already enrolled in the current plan). It’s not that rest of them don’t want to, Gulley said, but are already operating in known habitat so aren't eligible. That could change after Gulley's team finishes a "threat analysis" of the industry, which could be completed as soon as this week. In an ideal world, Gulley said, all of them would participate. "Voluntary efforts resulted in millions of dollars invested and countless hours of research aimed toward ensuring an appropriate balance between protecting the species, responsibly growing jobs and our economy through the development of oil and natural gas, and respecting the rights of all private property owners,” he said. Gulley said the biggest improvement in the new plan is the habitat map, which he said is much easier to read and spans about 259,000 acres. (The map in the previous plan covered only about 197,600 acres.) The proposed plan also will feature a diverse mitigation program that will be managed within the comptroller’s office — “taking the day-to-day burden off oil and gas,” Gulley said — and include activities like conservation easements, removing abandoned oil wells and unused roads. Gulley said the overarching goal of the new plan is “durability” — that it will be both flexible enough to deal with new challenges for years to come, even as energy production in the region is expected to persist indefinitely, and able to withstand any future petitions to list the lizard as endangered. The rewrite became more urgent in May when environmental groups filed another such petition. The Fish and Wildlife Service must issue an initial decision 90 days after the petition is filed and a final one nine months after that. A Fish and Wildlife spokesperson said the agency “has reviewed the petition and has begun preparing a 90-day finding,” which are published in the Federal Register, but doesn't have a publication date yet. Chris Nagano, a senior scientist for the Center for Biological Diversity, one of the environmental groups that filed the petition, said that they would be fine without an official listing as long as any new plan meets federal requirements for habitat conservation. Nagano said the comptroller’s office hasn’t reached out to the groups for their input; a spokesman for the comptroller's office said Gulley's team plans to involve all stakeholders. Meanwhile, Gulley said the petition has helped to drive interest from the oil and gas industry, which fears an official listing that would put heavy restrictions on land use in lizard habitat. Disclosure: The Texas Oil and Gas Association and the Permian Basin Petroleum Association have been financial supporters of The Texas Tribune, a nonprofit, nonpartisan news organization that is funded in part by donations from members, foundations and corporate sponsors. Financial supporters play no role in the Tribune's journalism. Find a complete list of them here.